"IntelliResponse has been granted a CRM Excellence Award for its commitment to its customers and their clients"
IntelliResponse Systems, providers of the patented IntelliResponse Answer Suite, a multi-channel web self-service software platform that delivers answers to customer and service agent questions, announced today that TMC, an integrated media company, has named IntelliResponse Answer Suite as a recipient of a Customer Interaction Solutions 2012 CRM Excellence Award. Customer Interaction Solutions has been the premier publication in the CRM, contact center and teleservices industries since 1982. Based on hard data, the CRM Excellence Awards rely on facts and numbers demonstrating the improvements that the winner’s product has made in a client’s business. Winners were chosen on the basis of their product or service’s ability to help extend and expand the customer relationship to become all encompassing, covering the entire enterprise and the entire customer lifecycle. The Thirteenth Annual CRM Excellence Award winners can be found in the May 2012 issue of Customer Interaction Solutions magazine. IntelliResponse enhances the multi-channel sales and customer service capabilities of hundreds of enterprise businesses and financial institutions. The company’s Answer Suite technology is an award-winning On Demand software platform that allows customers and service agents to ask questions in natural language, and get one right answer - regardless of the hundreds of ways the question may be asked. Since 1982, Customer Interaction Solutions(CIS) magazine has been the voice of the call/contact center, CRM and teleservices industries. CIS magazine has helped the industry germinate, grow, mature and prosper, and has served as the leading publication in helping these industries that have had such a positive impact on the world economy to continue to thrive. Through a combination of outstanding and cutting-edge original editorial, industry voices, in-depth lab reviews and the recognition of the innovative leaders in management and technology through our highly valued awards, Customer Interaction Solutions strives to continue to be the publication that holds the quality bar high for the industry. Please visit http://www.cismag.com. TMC, celebrating its 40th Anniversary in 2012, is a global, integrated media company that helps clients build communities in print, in person, and online. TMC publishes the Customer Interaction Solutions, INTERNET TELEPHONY, Next Gen Mobility and Cloud Computing (formerly InfoTECH Spotlight) magazines. TMCnet.com, which is read by 1.5 million unique visitors each month, is the leading source of news and articles for the communications and technology industries. TMC is the producer of ITEXPO, the world’s leading B2B communications event. In addition, TMC runs multiple industry events: including Mobility Tech, M2M Evolution, Business Video, ChannelVision Expo, MSPWorld, Super WiFi, SUITS, LatinComm, HTML5 Summit Conferences and more. Visit TMC Events for a complete listing and further information. 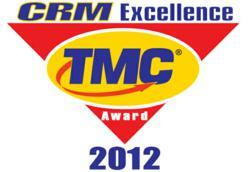 For more information about TMC, visit http://www.tmcnet.com.